The Paulton engine crew prepares management action point 9 on September 14th. 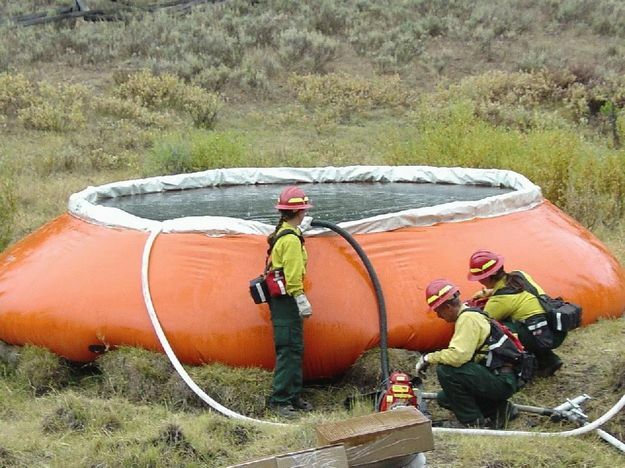 No, this isn't a swimming pool for the firefighters. Water is pumped from this 'orange pumpkin' cistern and runs through pipe to sprinklers layed along firelines. USFS photo.